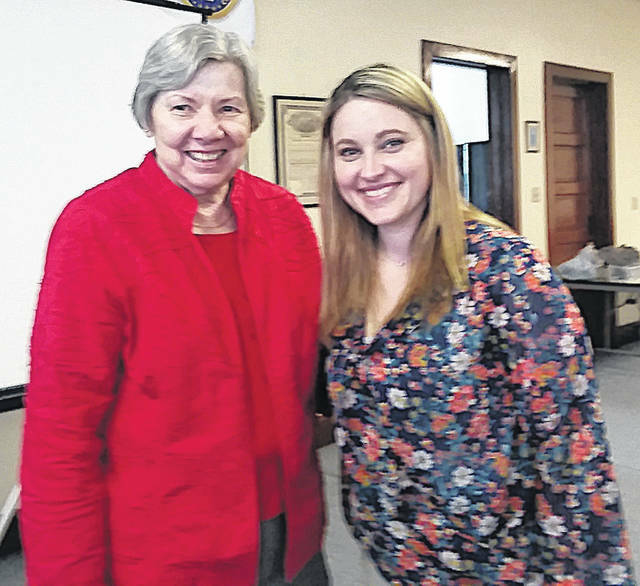 The Hillsboro Woman’s Club held its April meeting at the Masonic Lodge. This month’s program was presented by Danielle Combs, a new OSU Extension educator who gave a program on 4-H organizations. Pictured are Virginia Purdy, left, one of the hostesses of the April meeting, and Combs.